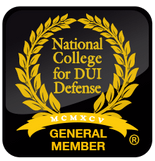 Beat your DUI with a Team that knows the science. Beat your felony charges. Preserve your record and protect your rights. Beat your traffic ticket. You are not a criminal for a traffic infraction! Being charged with a crime will be one of the most difficult situations you or your loved ones will ever face. We are here to help. At R&R Law Group, lead attorneys Ryan W. Cummings and Robert F. Gruler created a team of criminal defense attorneys who afford you and those you care about aggressive and experienced representation in DUI, felony, and misdemeanor cases. The R&R Law Group brings a fresh and tenacious approach to criminal defense to ensure your rights are protected and to reach the best possible outcome in your case. At R&R Law Group Criminal Defense Attorneys, no aspects of your case will ever be sacrificed. Unlike other law firms, the attorneys at the R&R Law Group have the passion, the skills and the tenacity to reach the goals in your case for the best possible outcome. We have successfully represented hundreds of individuals and fought for dismissals and reductions in courts across the entire state of Arizona. When you or your loved one are charged with a crime, the most important step in your defense is finding proper legal representation. This means an attorney you trust, who is available to you and who can articulate a strong defense based upon their skill and experience. This is exactly what you will find at the R&R Law Group. 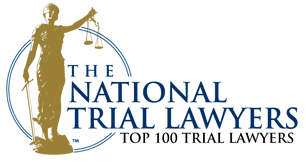 Call today for a free consultation to ensure a higher level of legal defense. 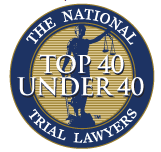 A common misconception in the legal community is that the old ways are the best ways. Not at R&R Criminal Defense Attorneys. Today, solving complex legal problems requires adopting solutions that break the mold and challenge the traditional methods of thought. We recognize that a person charged with a crime is much more than a name and a case number. Unfortunately, most in the legal community do not. In a system designed to process people and their cases at maximum speed, many people’s cases, and their lives, are lost in the shuffle. At R&R Law Group, we understand that despite your alleged mistake, you and your life are much more than one bad decision or judicial misstep. Our firm prides itself on deconstructing the rapid speed of the criminal justice system to ensure that you and your case are viewed with fairness and humanity. MONTHLY WIN: State v. William M., San Tan Justice Court, Driving Under the Influence, Super Extreme DUI above .20, and multiple traffic violations. Case Reduced to Reckless Driving, all other charges Dismissed. MONTHLY WIN: State v. Christine W., Phoenix Municipal Court, Driving Under the Influence, DUI above .08, Drug DUI, and multiple traffic violations. Case Dismissed as a result of erroneous blood results. Call us today for a free case evaluation at 480.400.1355 or email at [email protected]. Our office is located in mid-town Scottsdale.